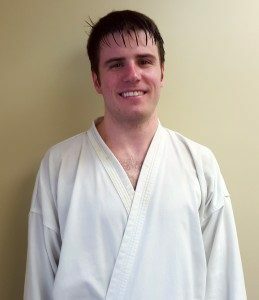 Grey Hallock is a 25 year-old Traditional Tae Kwon Do practitioner in our community at Asheville Sun Soo Tae Kwon Do. An on-the-go-breaking-news producer for local TV station, WLOS, Grey is a high-energy professional. Grey brings that same high-energy to class where he is a dedicated student and an enthusiastic partner for all. Though only a green belt at this point in his practice, Grey is quickly establishing excellent fundamentals while contributing greatly to the level of energy and engagement in the room at every class he attends. Grey is an excellent example of a working adult professional. He uses his martial arts practice to enhance his level of professionalism, focus, and efficiency at work while simultaneously discharging the accumulated stress from the day. We are honored to have Grey as part of our Asheville Sun Soo practice and part of our Asheville Sun Soo family. Before Tae Kwon Do, I was working out and running but I wasn’t becoming more flexible or learning anything while improving my fitness. I started Tae Kwon Do because I wanted to learn a skill while getting a great work out. Now I continue because it’s helping me a lot with my focus. My job as a news producer is really demanding and often I don’t have much time to react to a change of plan – if we a get a breaking story I need to be able drop whatever I’ve been working on and switch gears. Tae Kwon Do is helping me learn to do to this quickly and effectively. What do you enjoy most about your practice so far? My improved ability to focus in all aspects. I also enjoy feeling accomplished! What are some of your other hobbies, activities, or interests? Snowboarding, wakeboarding, soccer, hiking, and reading – my favorites are science fiction and history. What is something people at Asheville Sun Soo probably don’t know about you? Over the past 6 years I’ve lived in several different cities in Alabama, North Carolina, Georgia, and several cities before that, mostly moving around for work. I think Asheville is a really cool city and I’d love to stick around long enough to earn my 1st degree black belt. What is your favorite Asheville Sun Soo Tae Kwon Do moment? The first time I took a class and felt like I understood how the moves worked – like this wasn’t impossible for me, I could actually do it and it was accessible. 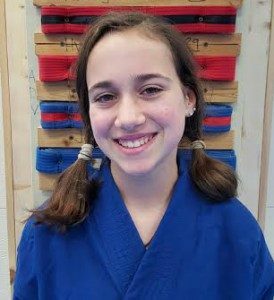 Piper Keliher is an 11 year-old , blue-red belt, Traditional Tae Kwon Do practitioner in our community at Asheville Sun Soo Tae Kwon Do. She is part of a sibling dynamic duo, practicing along with her brother Banyan. 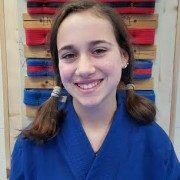 Piper is a dedicated student, who consistently demonstrates focus, precision and rigor in her execution of technique while maintaining a calm, friendly and approachable demeanor with her fellow practitioners. Piper is an excellent example of the combination of grace, intelligence and power that serves as an inspiring example to us all. We are honored to have Pyper as part of our Asheville Sun Soo practice and part of our Asheville Sun Soo family. 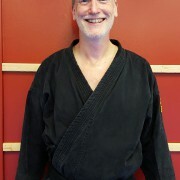 Getting to know all of the instructors and the people who practice at Asheville Sun Soo. Soccer, swimming, me time, family time, and hanging out with my friends. My passion used to be gymnastics, but now it’s Tae Kwon Do! 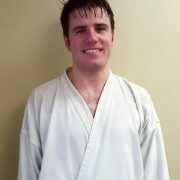 Testing for my white-yellow belt, my very first testing ever. Tae Kwon Do to me is more than just how to defend your self- it is about how to be kind, patient, and helpful to others. Asheville Sun Soo is truly my family. I will turn 50 on October 25. I am a science teacher currently working with at risk students. This is a huge question – – I believe that martial arts serve many purposes for many people such as: exercise, the beauty and tradition of the art, spirituality, community/friendship, sport, self-defense, self-improvement, etc. All of these are important factors for me, and each one’s prominence in my thinking changes from month to month and year to year. Currently exercise and self-defense hold most of my attention. About eight years in formal martial arts – but I believe that many other sports/activities have been an art in their own way and have I been on a 40 plus year path to what I do now. I love joking with my kids/family, being outdoors, reading/learning, playing guitar and listening to music. I am enriched by studying religion, history, spirituality and martial arts. I enjoy cooking and craft beers and I have a modest single malt scotch collection. I hand carve wooden knives and Japanese katanas/boken and a few other things. What is your favorite Tae Kwon Do moment? 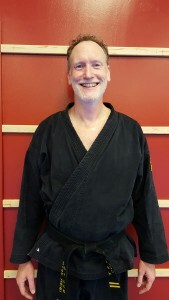 There are so many that it is hard to say – – – the easy answer would be my black belt testing. But I’m not so sure that that would be true. Then my mind jumps to my intro or my first class. They were pregnant with such hope and possibility. But today, my answer is every class I come to – because it is one more day on my martial arts journey! Thanks to all of the staff for who you are and what you share with my family and me.